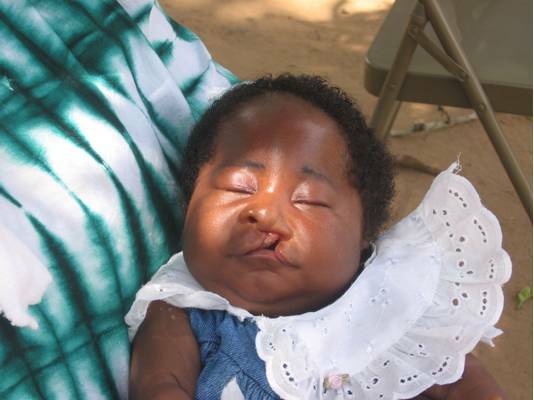 This little girl’s life was changed by caring people who saw a need and responded with a love offering to help with expenses for surgery for her cleft palette. This and many other lives have been changed because someone cared enough to give. Ebenezer came to Living Hope International Ministries in October with a large tumor on his chin which had been growing for two years. He had not seen a doctor because of lack of funds. 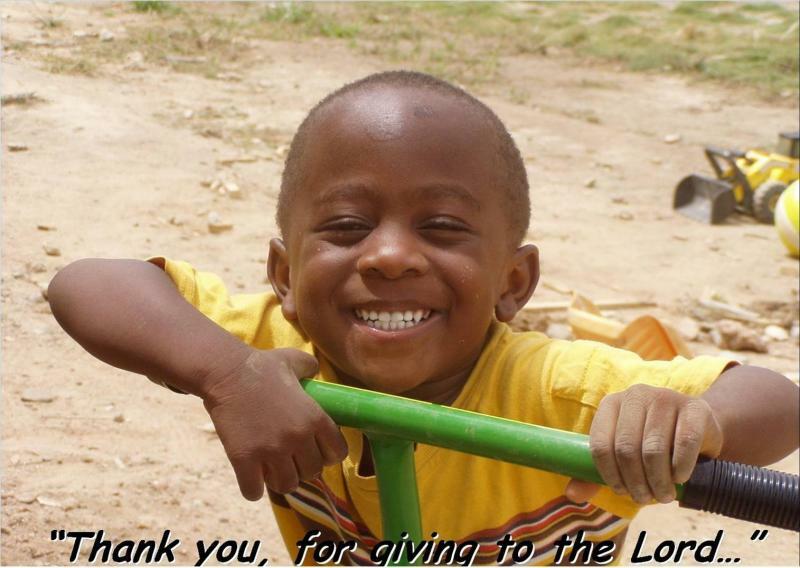 With the help of our supporters, we were able to admit Ebenezer to the hospital for surgery on his jaw. He had the tumor removed and got a new set of teeth. 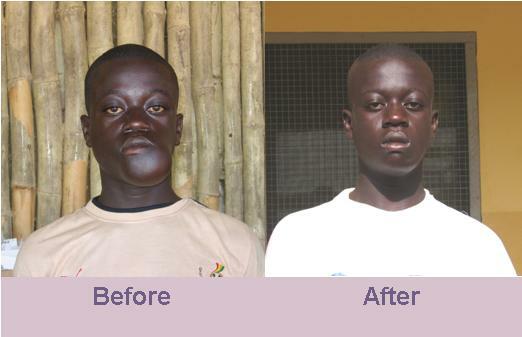 Here is a look at Ebenezer before and after his surgery. We thank and praise the Lord for prompting people’s hearts to help. A chance to support herself! This lady received onions to start her own business selling onions. 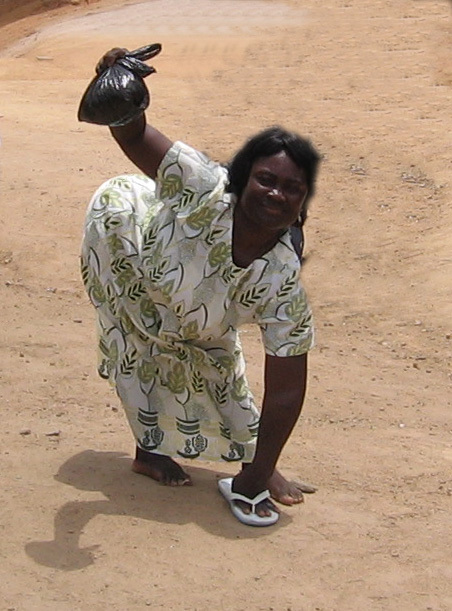 She sells them in the downtown market by walking on her hands and knees. She has been crippled from the time she was a little girl. She had club feet and because of lack of funds her family was unable to provide the surgery necessary to correct her feet. She was never able to walk. Many such cases are seen in Ghana. Receiving seed corn to help support her family. The smile says it all: Thank you! These are examples and testimonies of lives that have been changed because people cared enough to give. These are testimonies of people whose lives have been changed because someone cared enough to give. If you would like to change a life for someone in Ghana would you please consider giving towards the needs of the many who are less fortunate than we are? There are many medical needs as well as people who need assistance in starting their own business or funds to learn a trade.